We are always ready to introduce the latest space news which will arouse your interest, as this time astronomers have detected a new dwarf galaxy Bedin 1 while studying part of the Milky Way. Astronomers were using data from the Hubble Space Telescope to study white dwarf stars in the globular cluster NGC 6752, a spherical group of stars that orbit around the core of the Milky Way. When they would like to discover how old the globular cluster NGC 6752, they just accedintly found something new tiny dwarf galaxy Bedin 1. “When looking at an area right on the edge of the field of view of Hubble’s Advanced Camera for Surveys, they spotted a clump of faint stars. But on further inspection of their brightness and temperatures, the scientists realized that these stars were not a part of the globular cluster and were in fact much, much more distant”, mentions www.digitaltrends.com. These newly discovered stars were in fact millions of light-years away and are part of a relatively small galaxy that is just 3000 light-years across. The dwarf galaxy Bedin 1 is tiny, faint and it is classified as a dwarf spheroidal galaxy and has been named Bedin 1. The name is devoted to an astronomer Luigi Bedin from the Italian National Institute for Astrophysics (INAF) and the leader of the team who made the discovery. Some information about the galaxy! Bedin 1 is uncommon galaxy and is very isolated from others because it is lying 30 million light-years from the Milky Way and 2 million light-years from the nearest large galaxy, NGC 6744. That is why this phenomenon makes the galaxy the most isolated small dwarf galaxy discovered so far. Below you may watch the video where is shown the galaxy was found by accident. The video shows “a journey to the globular cluster NGC 6752. 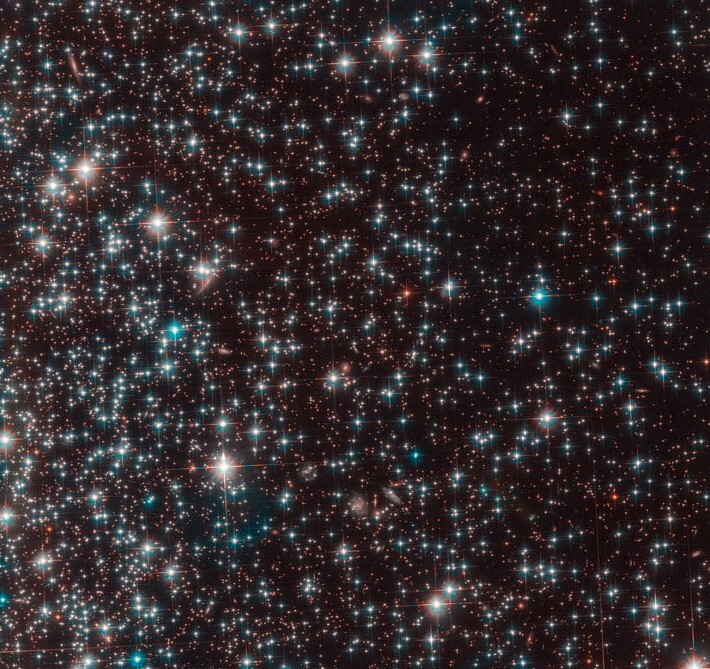 The final view, from the NASA/ESA Hubble Space Telescope, shows the bright stars of the cluster, as well as a collection of faint stars”.